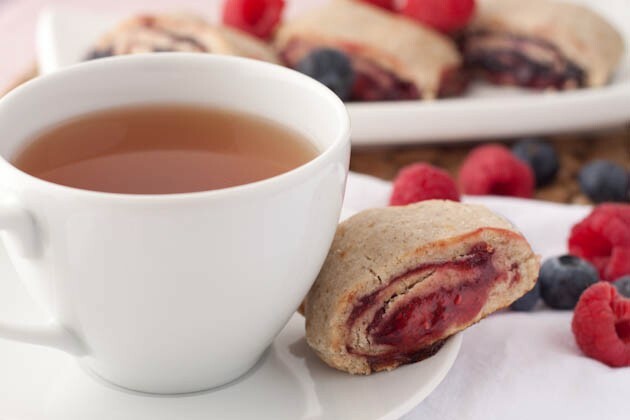 Healthified pastry rolled with jam, a family favorite! To make rolls: Preheat oven to 375F and line a baking sheet with parchment paper or a silicon baking mat. Roll the dough into into a rectangle shape about 12? x 7?. You want it to be no more than 1/8? in thickness. 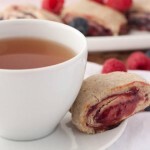 Spread jam in a thin layer across the dough, leaving a 1/4? of the long edges of the rectangle clear of jam. Carefully roll the dough from long edge to long edge [like sushi!] and slice into 8 sections. Place sections on prepared sheet, trying to avoid letting the jam portions touch the baking sheet. Bake for 20 minutes, or until golden brown.